Sign Up for Our Next Seminar Below! Regenerative medicine uses stem cells to repair your body naturally. All American Healthcare Covington LA offers stem cell regenerative therapy and advanced options to treat degenerative diseases and chronic ailments. Stem cell therapy is the use of stem cells to treat chronic ailments and diseases, particularly joints that have been damaged or degenerated due to injury or age. It is a safe and effective pain treatment for injuries that otherwise might require surgery and has been clinically proven to be effective in restoring health at an accelerated rate to injured areas. Our team is committed to helping people manage chronic pain, restore function and motion, and live a quality, pain-free life. Disclaimer: All American Healthcare Covington, Louisiana does not use any stem cells that originate from an embryo. All of our stem cells used in stem cell therapy and regenerative medicine originate from cord blood tissue. In addition, we do not use any stem cells from Planned Parenthood. To learn more about the stem cells we use in regenerative medicine, read our Stem Cell FAQ section below. Joints found in our knees, hips, shoulders and back are particularly susceptible to degeneration and injury due to exercise, gradual wear and tear, weight-bearing properties and dynamic range of motion; unfortunately, most patients with joint pain are faced with surgery as their only treatment option. Regenerative therapy is a rapidly growing pain treatment for injuries that otherwise might require surgery and has been clinically proven to be effective in restoring health at an accelerated rate to injured areas. Our team is committed to helping patients manage chronic pain, restore range of motion, and heal the underlying cause of pain to live a quality, pain-free life. The stem cell concentration in our body naturally decreases as we age. This is why children go through drastic change within the first few years of their lives while adults change and regenerate cells at a much slower pace. This is also why it is harder to fully recover from injuries as we get older. 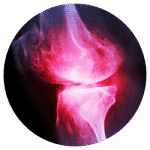 Additionally, the cartilage in our joints will naturally degenerate over time, removing that cushion between the bones. 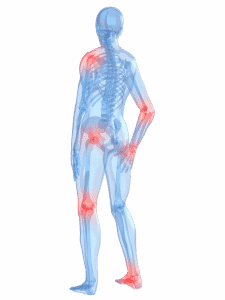 When that cushion is gone, there is nothing to absorb the pressure put on our joints. When this cushion begins to degenerate, our bones can begin to rub against each other, leading to painful inflammation, swelling, loss of range of motion, osteoarthritis, and bone spurs. But what if we told you that you could not only manage your condition but actually heal and restore the underlying cause of pain? Unlike pain pills and other opioids, stem cell regenerative therapies don’t just mask pain symptoms, they regenerate the cartilage in your joints and rebuild that natural cushion using stem cells already found in the human body. This non-surgical treatment consists of injecting a concentration of stem cells, growth factors and other would healing factors into the joint. The injection contains multipotent stem cells which possess the ability to differentiate into varying cell types dictated by the area of the body that needs healing and the source of the stem cells. 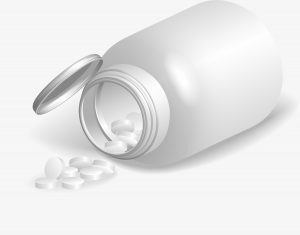 Stop taking pills that won’t help you heal! Stem cell regenerative therapy is a breakthrough pain management procedure now offered in Covington, LA to help your body regenerate damaged tissues, restore strength, improve mobility, and rebuild cushion in your joints without the need for surgery or medications. Interested in living pain-free? Heal your body naturally with stem cell therapy and improve your quality of life! 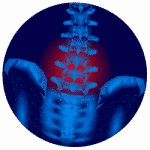 Stem cell therapy can help relieve lower back pain due to degenerative lumbar discs or bulging discs. Stem cell therapy can be used to treat degenerative hip conditions such as arthritis, labral tears, or hip injury. 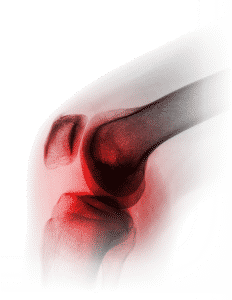 Growth factors help restore cartilage damage in joints due to injury or deterioration. 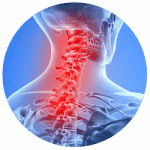 Stem cell therapy can relieve neck pain due to cervical osteoarthritis, cervical instability or whiplash. 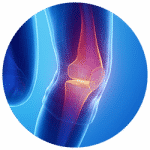 Stem cell therapy uses pluripotent cells to rebuild cartilage in degenerated joints. Restore mobility and prevent further bone and tissue damage due to osteoarthritis with stem cell therapy. Restore rotator cuff injuries, shoulder arthritis or tissue damage to the shoulder with stem cell therapy. 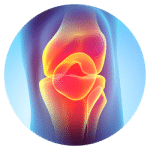 Commonly treated knee conditions include MCL, ACL, PCL or LCL tears, arthritis, patellar tendonitis, and cartilage damage. 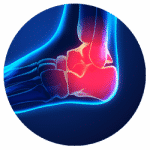 Commonly treated foot and ankle injuries include arthritis, plantar fasciitis, Achilles tendonitis or peroneal tendon tears. Stem cell therapy is the use of stem cells to treat or prevent chronic ailments or diseases. Stem cells are being used in medicine in two defining ways, homologous and heterologous applications. The first, most experienced approach is homologous tissue cell restoration. This includes using a patient’s own stored stem cells or stem cells from an immunologically matched donor to restore diseased or damaged tissue of the same type; for example, blood stem cell transplantation. Heterologous applications are used for our stem cell therapy treatments. What Type of Stem Cells are Used in the Treatment? 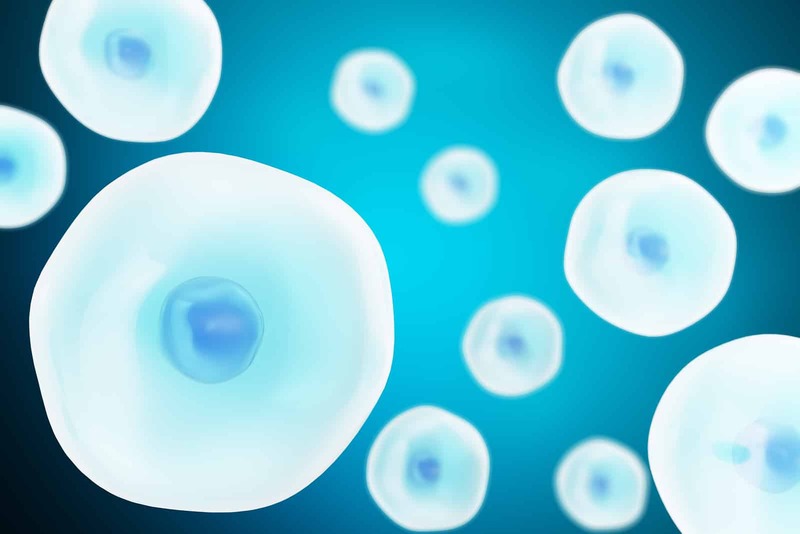 There are three types of stem cells identified: adults stem cells, human embryonic stem cells (hESC), and induced pluripotent stem cells (iPS). Each of these cells shares a certain set of properties including their ability to survive over long periods of time, ability to divide into additional cells, and their ability to differentiate into varying cell types within the human body. 1. Adult stem cells can be found throughout the body as unspecialized cells. These cells are often extracted from the amniotic membrane, adipose (fat) or bone marrow. These cells are multipotent meaning they are limited in the number of cell types they can form into. 2. Human embryonic stem cells come from embryos that have been fertilized in vitro and possess pluripotent properties, meaning they can grow into any type of cell or tissue in the human body. These cells are illegal to use in the U.S. and are not used for stem cell treatments. 3. Induced pluripotent stem cells are stem cells that have been altered to possess the pluripotent properties of hECS. Some researchers are manipulating cells extracted from amniotic fluid to do so. We use multipotent stem cells in our treatments, which are donated from a consenting mother at the time of a healthy delivery. The amniotic tissue, which is routinely discarded, contains a high number of growth factors, unspecialized stem cells, and additional wound healing characteristics. Cord tissue contains a large number of stem cells, growth factors and other essential building blocks for wound healing such as cytokines and immune-privileged properties. These factors give patients the best opportunity for results. Over 500,000 patients have been treated without one adverse reaction. Stem cell therapy is neither approved or disapproved. It is not treated like a drug and therefore not regulated like a drug. Rather, the FDA has set forth safety and ethical guidances for cellular and gene therapy treatments. The FDA regulations stipulate that stem cells cannot be altered, grown, or cultured. Do not participate in a stem cell treatment that does not take place as an in-office, same-day procedure. What are Your Ethical and Safety Standards? Our donors are healthy women between the ages of 18-35. Their blood has been screened for a complete medical history. Initial safety testing is critical. The donated tissue is tested twice before processing, and all our stem cells follow FDA Guidelines and CGTP regulation 21CFR Part 1271 and the American Association of Tissue Banks Rules and Regulations. Prior to a stem cell treatment, you must stop taking any over the counter medications blood thinners (Aspirin, Motrin, Ibuprofen, etc.). Our team will conduct a complete medical history prior to treatment, as well as review any other preparations you need to take before the procedure. All patients are different, but most patients can return to work or their daily activities immediately following the treatment. Most patients start to see results within 8-10 weeks. Is There a Chance my Body Will Reject the Stem Cells? No. The stem cells found within cord tissue is immune privileged so your immune system will not reject the cells. Also, they do not contain antigens and will not cause an adverse reaction. Kobe Bryant, Michael Jordan, Peyton Manning, Alex Rodriguez, and Tiger Woods are just a few of the athletes who have used stem cell therapy to recover from injury! Join them in living a pain-free life today! What is in a Stem Cell Injection? The injection consists of a concentration of stem cells, growth factors, and cytokines which play a major role in regenerative medicine and wound healing. Cytokines are small proteins released by cells that signal where to go, what to do and how to respond. Growth factors are soluble proteins that affect cellular processes and play a natural role in wound healing. Growth factors are also known to accelerate the healing process. What Growth Factors are Required for Regeneration? The growth factors required for regeneration include collagen, amino acids, carbohydrates, electrolytes, and enzymes. These factors stimulate the growth and regeneration of specific tissues and lubricate the joint for healthy cartilage to grow. How Does the Injection Process Work? Stem cells are drawn from the cord tissue of the donating mother during a legally performed C-section. There are no embryonic stem cells involved in this process. The cord tissue containing stem cells is injected into the injured joint or tissue to help stimulate tissue or cartilage growth, reduce pain and inflammation, and restore the injured area back to a healthy state. How are Stem Cell Treatments Different Than Other Procedures? Stem cell treatments are cost-effective, non-surgical, have a 3-6 month recovery period, can be performed the same day, and have little to no adverse reaction. What are Some Additional Conditions Treated by Stem Cell Therapies? 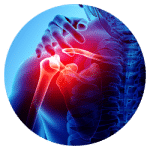 Arthritis, bursitis, rotator cuff tears, joint separations, carpal tunnel, cervical instability, cervical facet injury, meniscus tear, ACL sprain or tear, ligament sprain or tear, plantar fasciitis, tennis elbow, nerve entrapment. Do you Treat any Problems Outside the Bone, Tendon, Muscle, Joint, or Ligament? Do you Treat Spinal Cord Injuries? 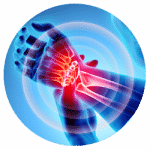 Stem cell therapy has excellent results in treating a wide range of orthopedic conditions. The majority of patients receive tremendous, if not complete relief from their symptoms. Is a Stem Cell Treatment Covered by Insurance? Insurance does not currently cover stem cells treatments for use in orthopedic therapy. However, we do have a payment plan and will work with you to make your treatment affordable. Stem cell therapy is a cost-effective alternative to patients facing expensive joint replacement surgery. Stem cell treatments require little recovery downtime with some patients returning to normal activity on the same day with a 3-6 month full recovery. A stem cell injection is a non-surgical, in-office procedure without the risk of blood clots, or scarring. Stem cell therapy is safe with little to no adverse reaction or negative long-term effects. Stem cells cannot be manipulated, cultivated or grown and are tested to ensure effective and safe treatments and to meet FDA safety standards. All stem cell treatments must be a same day procedure to meet safety standards. Stem cells are tested to meet safety criteria, including testing for viral, bacterial and fungal infections. Stem cell treatments don’t just mask pain symptoms or replace damaged tissue. It heals and restores your body back to a natural state of health. Our stem cells are immune privileged and will not cause an adverse reaction. Each month, All American Healthcare offers free educational seminars in Covington, LA and Hammond, LA. These seminars are for those suffering from knee pain, low back pain, shoulder pain, neuropathy, joint pain, and osteoarthritis. We discuss treatment options using stem cells and regenerative medicine that help you avoid painful and costly surgery.